ACLU: Chicago Police cameras invade privacy Reviewed by Edgeville Buzz on February 10, 2011 . The Illinois chapter of the ACLU has released a report stating that the Chicago Police Department’s blue light cameras are “a pervasive and unregulated threat to our privacy.” In the report, the ACLU calls for a moratorium on the placement of any new cameras. 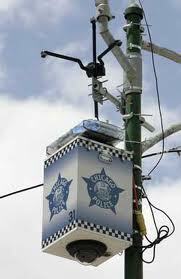 What do you think – are the cameras a necessary tool to assist the CPD protect our streets, or a violation of privacy? Let us know by voting in our latest poll and submitting your comments.